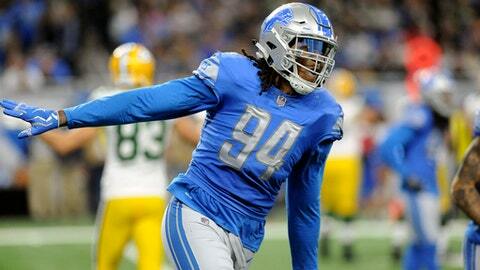 ALLEN PARK, Mich. (AP) The Detroit Lions have designated defensive end Ziggy Ansah as their franchise player. The Lions announced the decision Tuesday. Ansah, a first-round draft pick in 2013, has 44 sacks in five years with Detroit, including 12 this past season. Ansah hasn’t played a full 16 games since the 2015 season, but while his health has been an issue, he can still be an elite pass rusher. He had three sacks in a game three times last season, against the Giants, Bengals and Packers. The franchise tag buys the Lions and Ansah until mid-July to reach agreement on a long-term contract. Otherwise, he’ll play on a one-year deal and make the average of the top five players at his position in 2018.